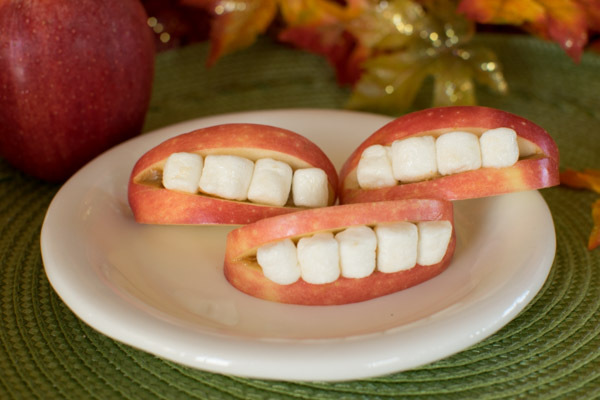 Looking for a healthy-ish Halloween snack? This might work for a topical classroom treat. 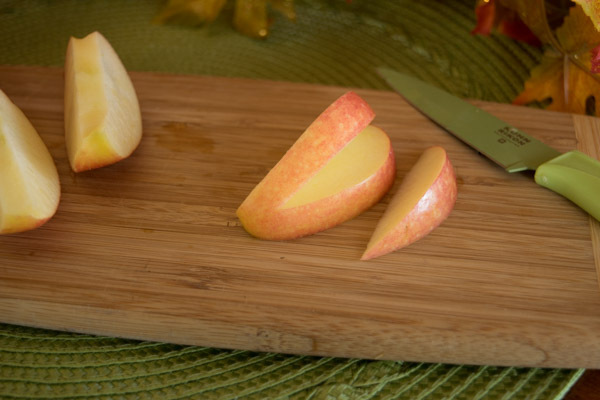 We cut an apple in sixths, then cut the core off the back of each piece. Each of the 1/6 slices became a mouth. We cut another wedge out of the mouths and slipped some mini marshmallows in. Voila – silly smiles! 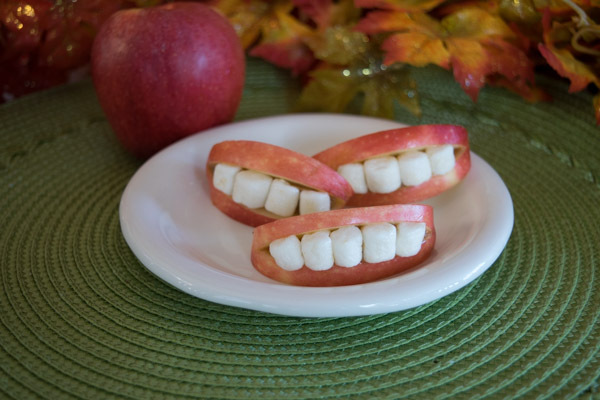 This entry was posted on October 9, 2015 by mdaucello in Halloween, Holidays, Recipes and tagged apples, classroom treat, Halloween, smiles, snack, teeth.